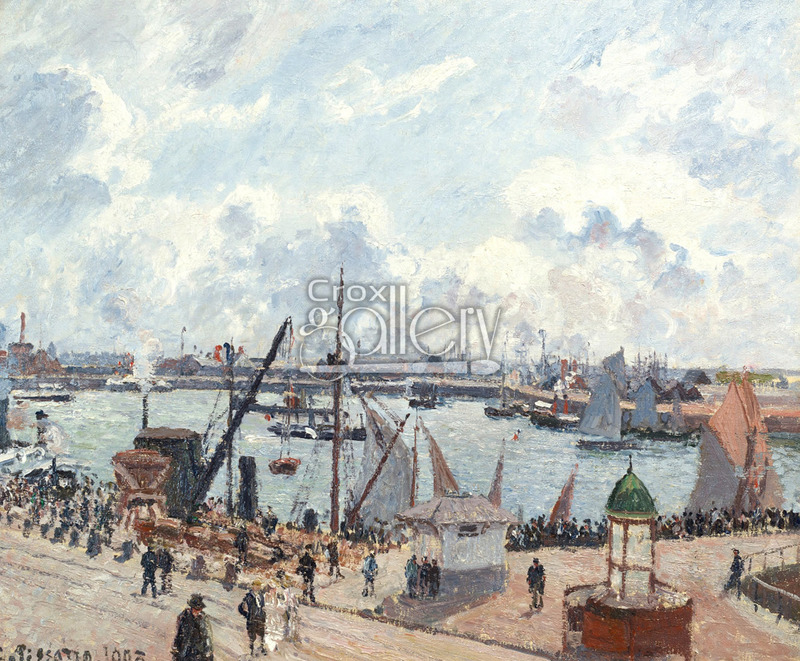 Oil painting, "The Outer Harbor of Le Havre" by Pissarro. Work entitled "The Outer Harbor of Le Havre, Morning, Sun, Tide." Painted in 1902 by Camille Pissarro, this was the penultimate work completed by the artist. 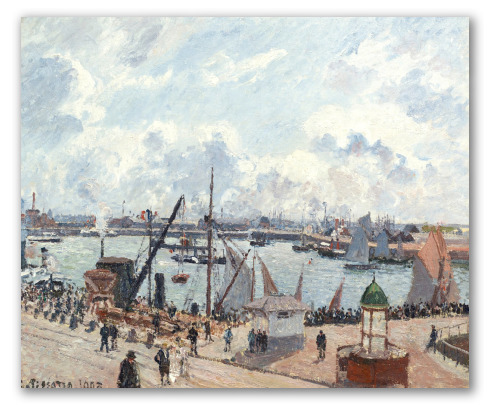 It was painted on commission for Peter van de Velde en his own city of Le Havre. According to the painter's own admission, he felt forced to paint this landscape by his difficult economic situation. In his final artistic period Pissarro had begun a to experiment with the pointillist techniques that some of his colleagues (such as Seurat) had been applying. The result is a work with an almost photographic appearance where impressionistic elements are joined with points in order to form the figures. This work is currently held in the Museum of Fine Arts Andre Malraux, France.